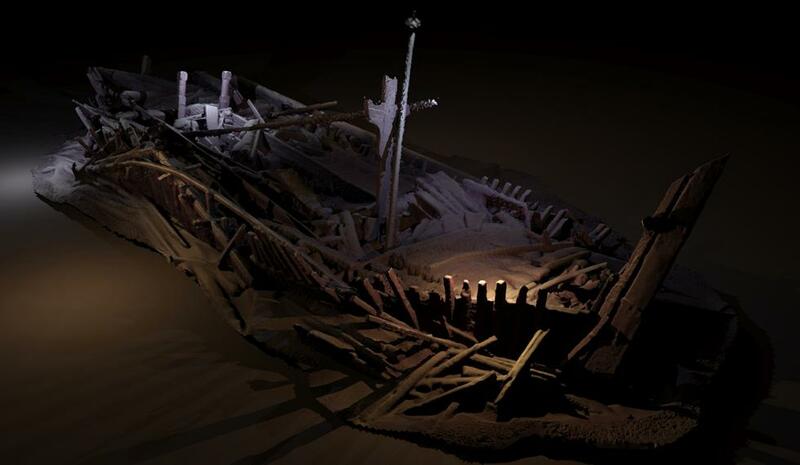 When the international team of sailors and researchers led by Professor Jon Adams from the University of Southampton established the Black Sea Maritime Archaeology Project, their primary goal was to map the sea floor and study the prehistoric landscapes flooded during the last Ice Age. 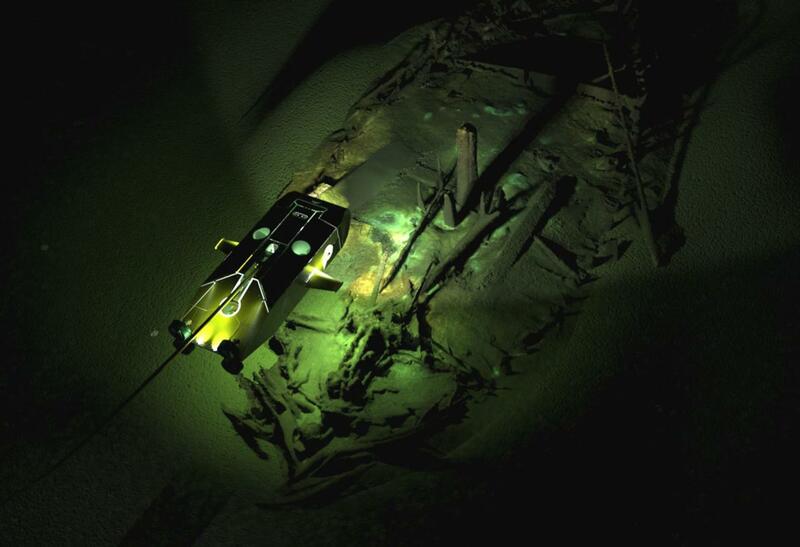 So you can only imagine their delight, when they stumbled upon an unexpected treasure trove of perfectly preserved shipwrecks, many of which are known from historical sources, but have never been seen before. The 41 wrecks dispersed across roughly 2,000 square kilometers were discovered early October during a month-long survey conducted by the scientists aboard the research vessel, Stril Explorer. The ships that lay between 150 meters (492 feet) and 2,200 meters (7,217 feet) beneath the surface of the water, are so pristinethat researchers could discern individual rigging materials, rope coils, till, rudders, pots, wooden decorative elements, and even the tool and chisel marks on specific planks! 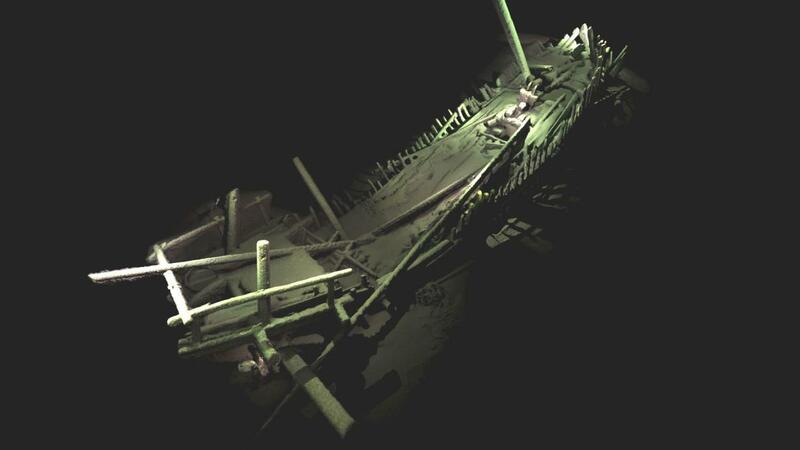 The earliest wreck dates back to the late 800s when the region was under the Byzantine Empire. There are also numerous Ottoman vessels from the 16th through 18th centuries and even a few 19th-century shipwrecks. The one that excites researchers the most, is the remains of a 14th-century medieval Italian vessel dating from the days of Marco Polo. The images, that were captured by high resolution 3D cameras fitted on the state-of-the art ROVs, will allow marine archaeologists to determine the ship’s starting port and also where it was heading. Because the crafts were found further out to sea, experts suspect they were merchant trading ships brought down by deadly storms, rather than battle. Finding such well-preserved wrecks is typically impossible given that wood and rope rapidly decay in seawater. However, the Black Sea, one of the youngest seas on the Earth, is a little different. The body of water that lies between far southeastern Europe and Western Asia, was once a freshwater lake. But that changed about 12,000 years ago, at the end of the last Ice Age. As the warming temperatures caused the sea levels to rise, the saltwater from the Mediterranean Sea began spilling over the Bosphorus Strait that separates the two bodies of water. As a result, the Black Sea is now fed by saltwater, as well as freshwater from the rivers. The two types of water boast different salinity levels, creating distinct regions. The upper layer with less salt is oxygenated, while the water that lies 150 meters (492 feet) below the surface, is anoxic. Oxygen decays natural materials, so without it, things like ropes and wood disintegrate at a much slower rate. Also, the inhospitable environment means there are no organisms to feed on the materials, making the Black Sea an ideal location for a ship graveyard. Given that the Black Sea was the site of most of the ancient Greek, Roman, and the Byzantine Empire’s colonial and commercial activities, marine archaeologists are hopeful that the discovery will provide more insight into the trading habits and community life during this time. Though the ships are historically important, the researchers do not expect to find any valuable cargo. They believe that most of the wrecks were merchanttransports and therefore carrying goods like wine, grain, timber and other commodities.